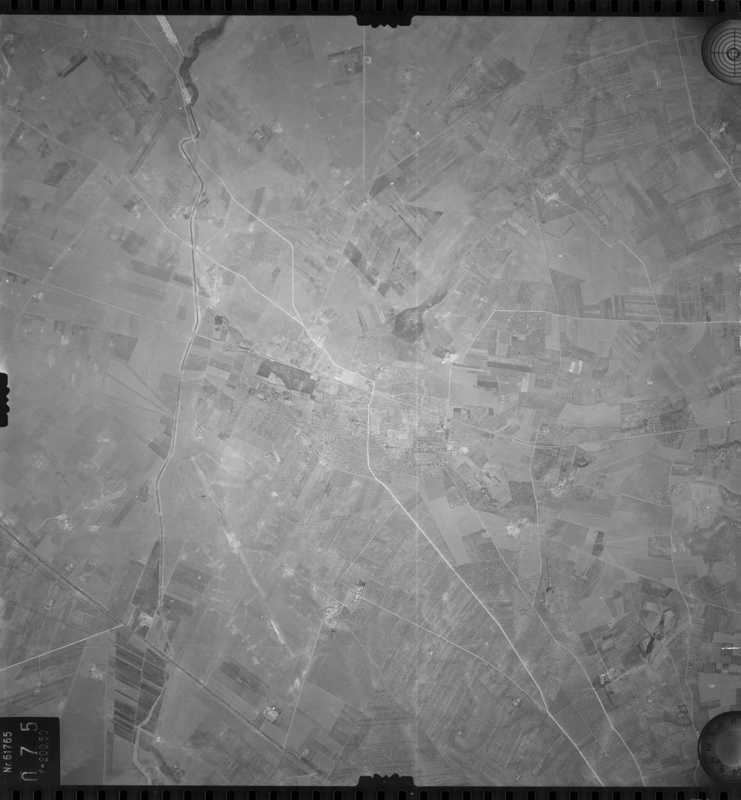 Air field Giulia (also known as Cerignola satellite #1)was a semi-permanent air base located approximately 6km northwest of Cerignola, Apulia, Italy. The airfield was built from late 1943 by the United States Army Corps of Engineers on what had been a rough German airfield. 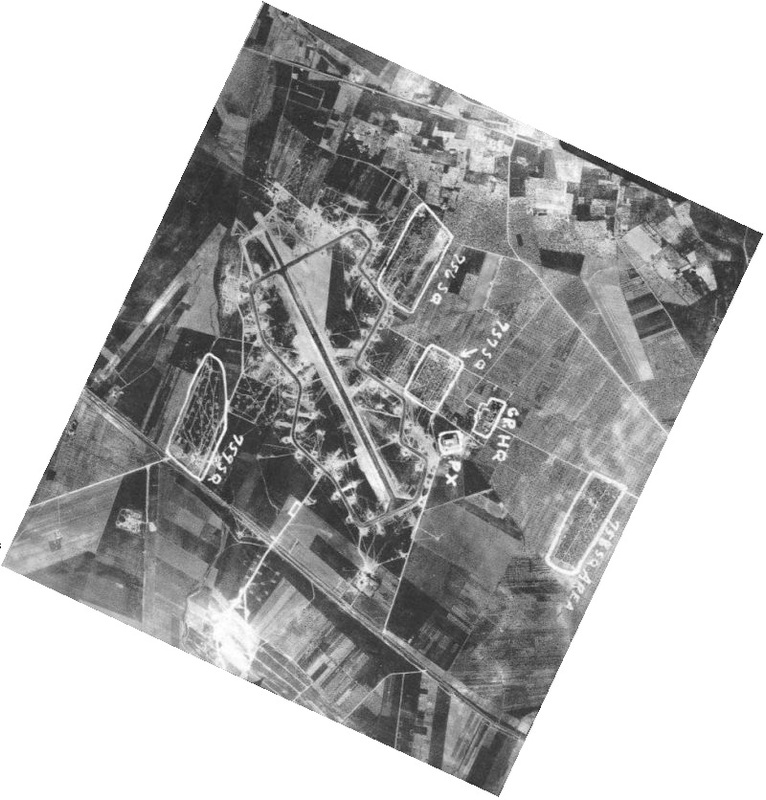 It was constructed with one PSP runway, as part of the Foggia Airfield Complex, a series of World War II military airfields located within a 25 mile (40 km) radius of Foggia. Giulia airfield was situated on what was the Pavoncelli Estate, of olive and fig groves and vineyards. Thje estate was commonly known as Torre Giulia, which exists to this day. 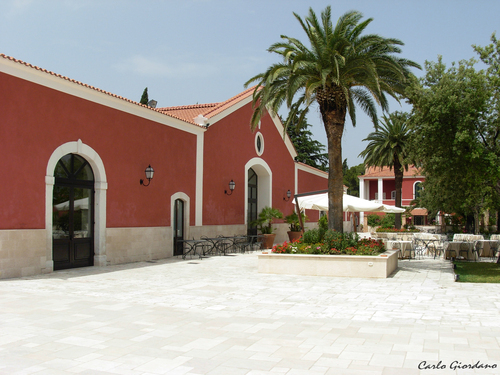 The ancient winery was commandeered as group headquarters and the base commander used the adjoining residence for housing. Other buildings were used as seemed fit. Giulia had 67 all-weather hardstands and 11 dry-weather hardstands, extensive taxiways and a wooden control tower (named 'the coffee tower', after it's callsign 'Coffee Tower'). For a long time the airfield was made of dirt and rocks, but this was eventually changed into gravel and oil and occasionally PSP. The airfield opened in January 1944, and became home to the 459st Bombardment Group (Heavy) of the US 15th Air Force, flying B-24 Liberators. The 459th BG (Heavy) engaged in very long range strategic bombing missions to enemy military, industrial and transportation targets in Italy, France, Germany, Czechoslovakia, Austria, Hungary, Romania, Bulgaria, Albania, and Greece. The unit flew support and interdiction missions, participated in the invasion of Southern France and struck communications lines and other targets during March and April 1945 to support the advance of British Eighth Army and American Fifth Army in northern Italy. In August 2011 veteran Stan Kolbe recalled: There were on site medical facilities and larger military hospitals at Foggia and Cerignola. My hometown doctor was a staff physician at Cerignola. The 459th consisted of 4 squadrons, 756th, 757th, 758th and 759th. Each squadron had its own area, complete with officers mess/club and showers. The enlisted men had the same but all squadrons were in their own area. We each also had our own tent area. 'Permanent housing', as the Air Force called it. Our main job was to get to the headquarters for briefing, and then mess before each mission, and then be taken to the flight line, so we had to be in a fairly compact area. All this time the owner of the land was allowed to use all the other land for his business and we often saw women and children stomp grapes in huge vats. They went about their business as if we weren't there but it must have been difficult. We didn't do as well during briefing, ignoring the odor of fermenting grapes. The former Giulia (in the lower left quarter) photographed in 1953 (photo: Pinuccio d'Angelo, via e-mail). Today the location is an agricultural area with only the farm of Torre Giulia remaining. There is next to no evidence of its presence in aerial photography. Many photos of the past as well as today can be found at 459BG.com however. Thanks to Mr. Stan Kolbe for adding information on this airfield! The former Giulia headquarters in 2007, today an exclusive residence (Panoramio).